DAMASCUS, SYRIA - An Israeli airstrike on a military position in central Syria early Saturday wounded six soldiers and destroyed several buildings, Syrias state news agency SANA reported. SANA quoted an unnamed military official as saying the airstrike near the town of Masyaf, in Hama province, hit a military academy widely known as the Accounting School. 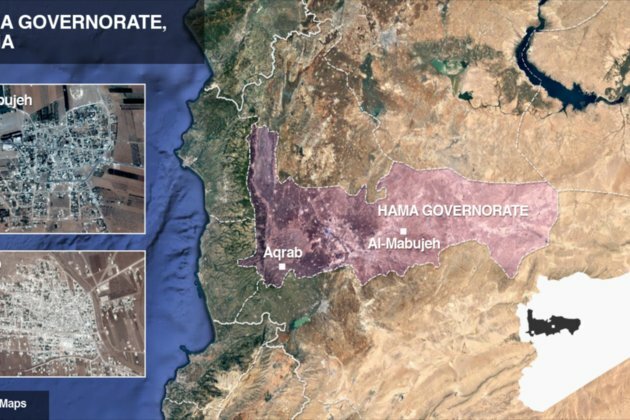 It said Israeli warplanes fired missiles toward Syria from Lebanons airspace and that Syrian air defenses shot down some of the missiles. The Israeli military does not usually comment on reports concerning its airstrikes in neighboring Syria, though it has recently acknowledged striking Iranian targets there. The last such strikes that Israel announced were in late March.